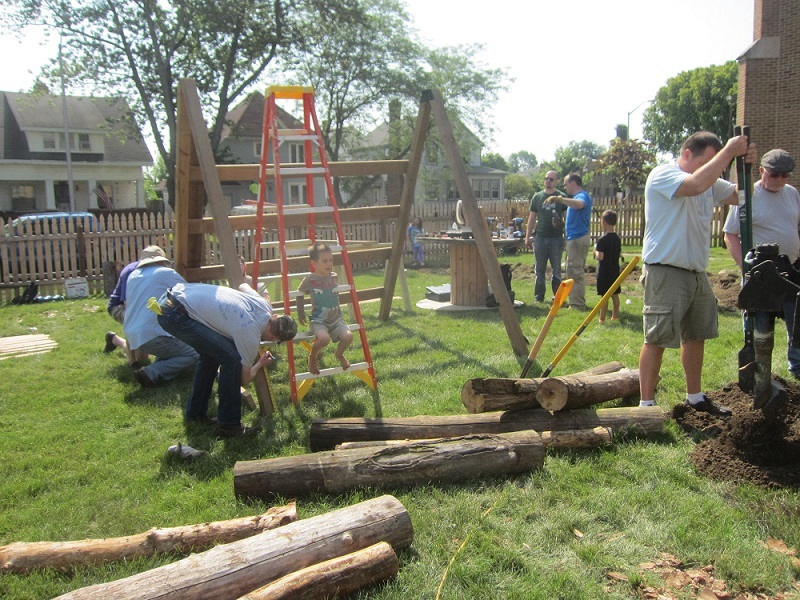 Last Saturday nearly 50 volunteers came together to put in the first phase of our playground. Wow, what a day! 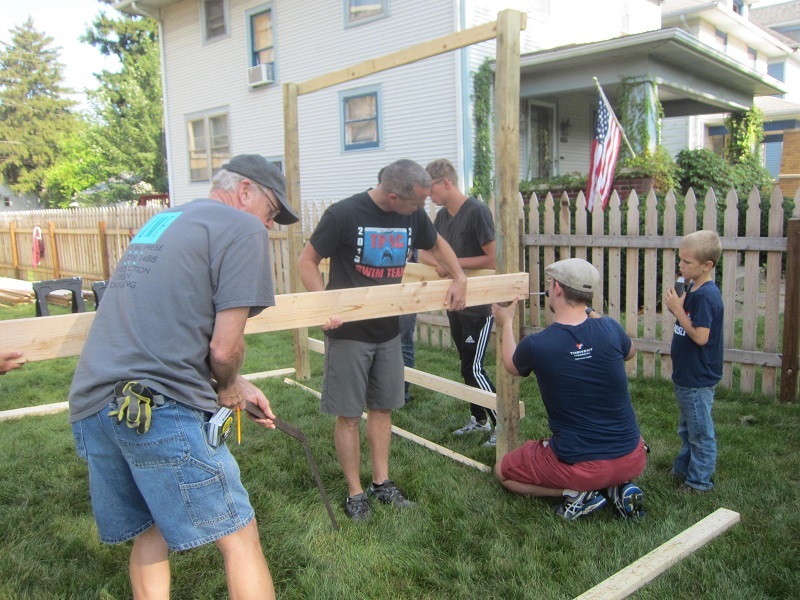 Everyone worked hard and long, and we got a lot done. Here are some pictures to give a flavor of the day. 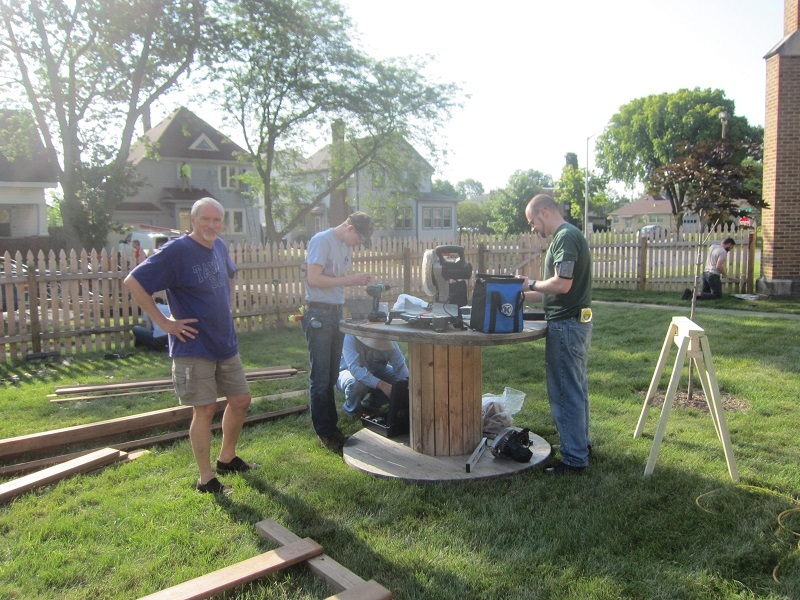 Here our playhouse crew, supervised by Jerry Frese, who had a career building real houses, gets underway. 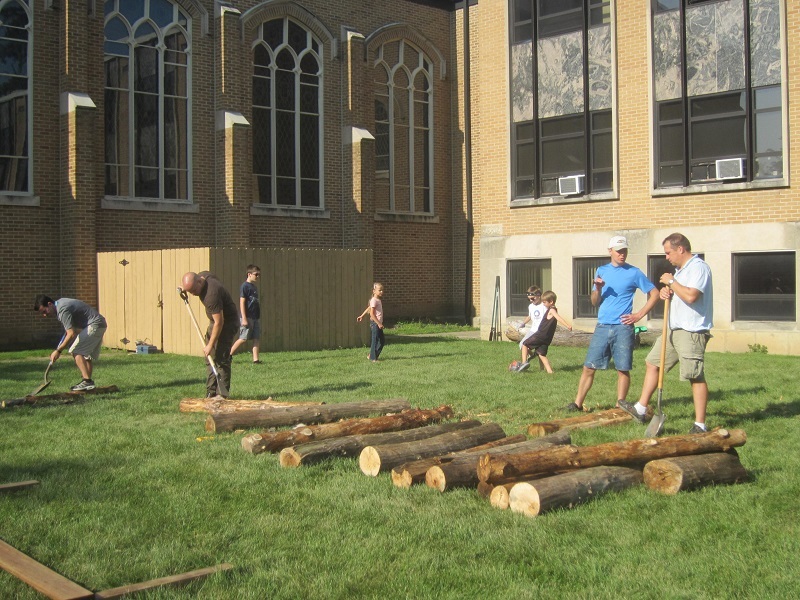 Here are the ingredients for what after several hours and some machine digging became a log fort. 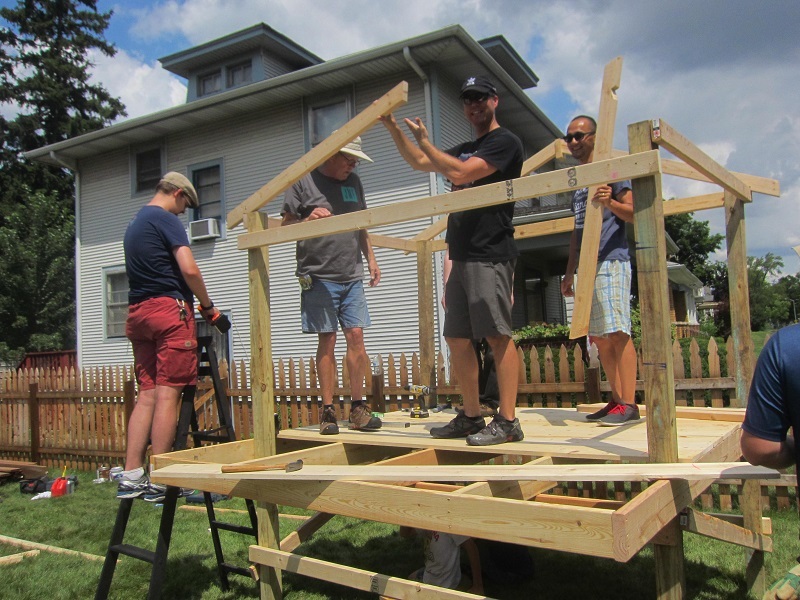 Our team of engineers puts together the plans and strategy for a large climber structure. 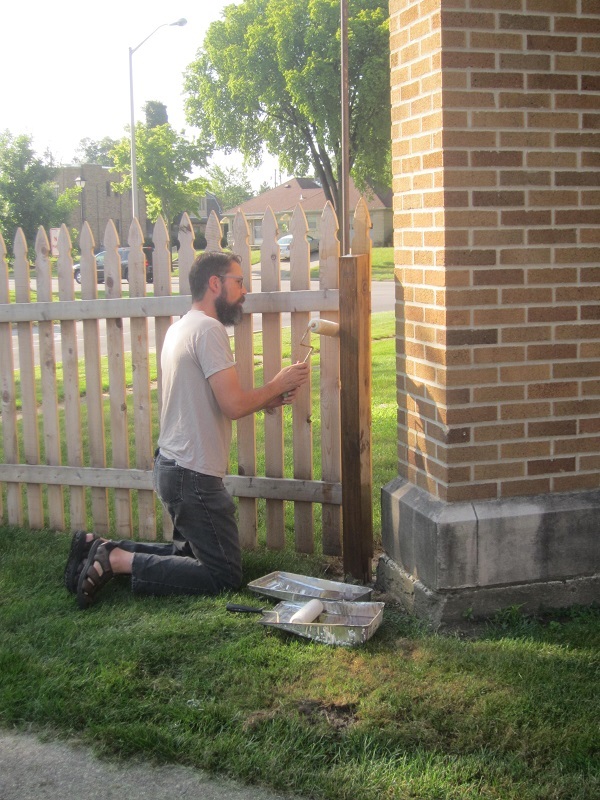 Over here, Pastor Grobien gets dirty oiling up our fence, annual maintenance that keeps the wood healthy and pretty. 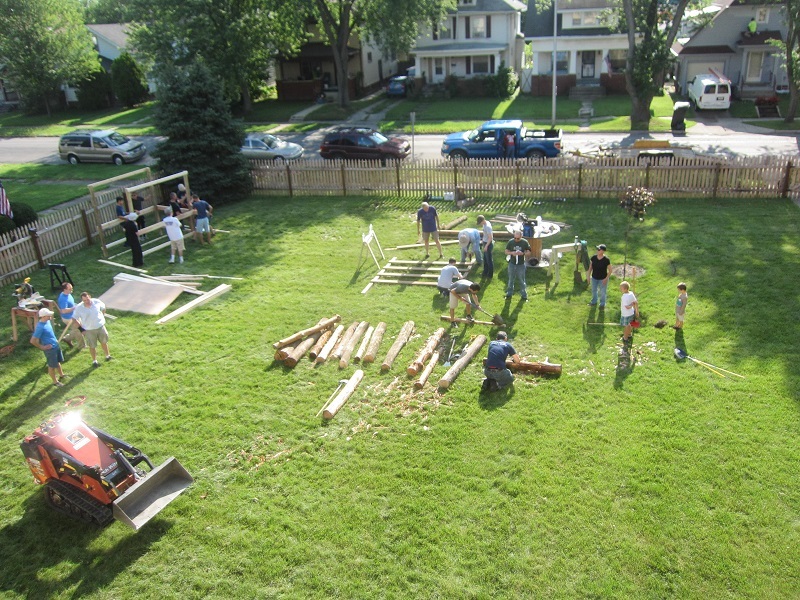 This is an overview of the outside work teams as they prepared their various play structure builds. 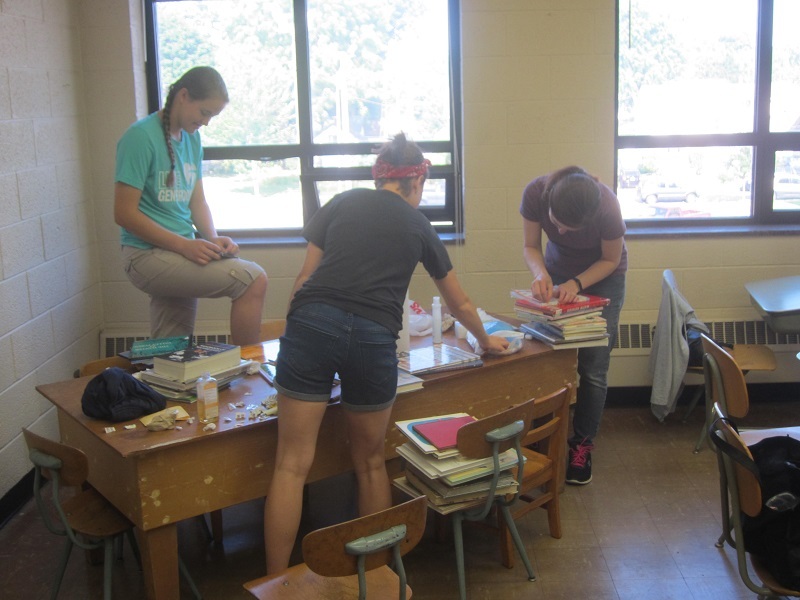 Inside, a team of ladies was hard at work inside our forthcoming school library. We’re targeting a September opening for that. 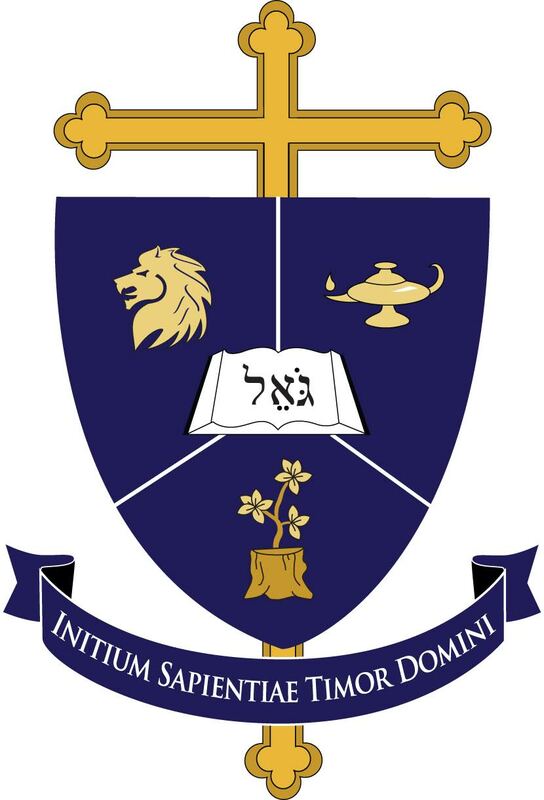 Families of non-Redeemer students may check out books from our school library by donating at the library membership level through our Patron page. 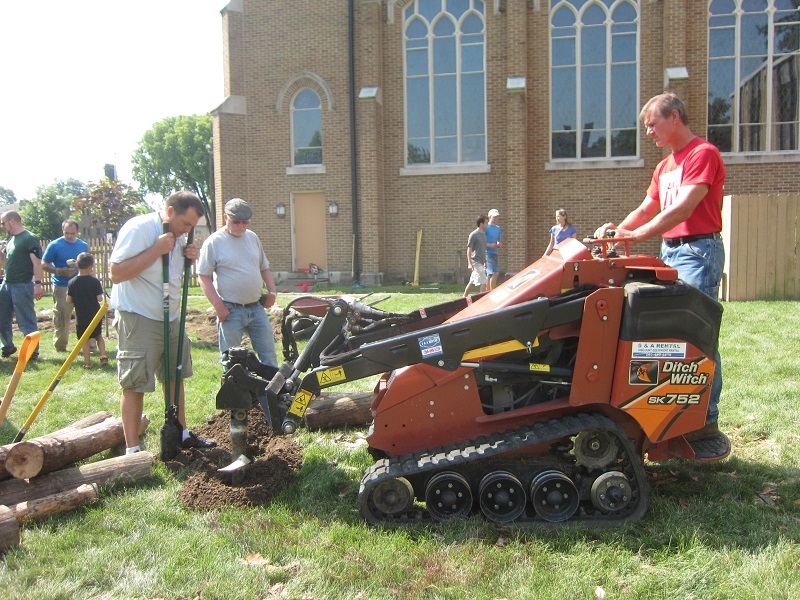 Here a machine saves the volunteers’ backs by doing the big digging for them for the log fort. 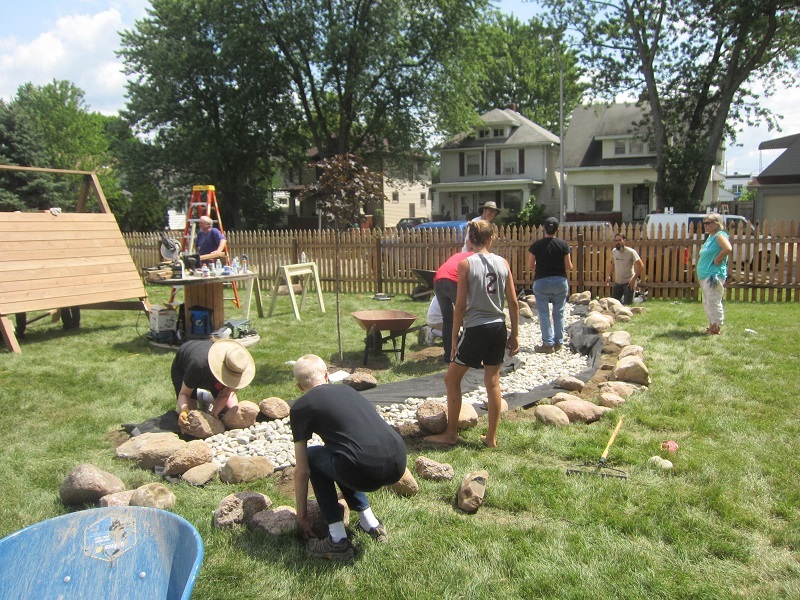 Here you see a team of folks preparing the dry creek bed through supervision from Jane Casey and professional landscaper Brenda Frese. 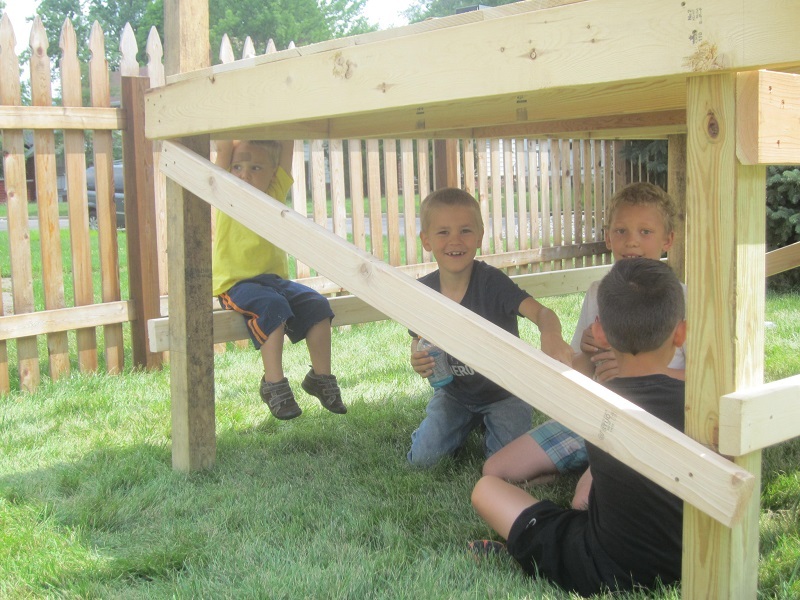 Pastor Frese gets silly while holding up part of the playhouse frame. Suitably, volunteers’ kids (who also volunteered their little hands!) 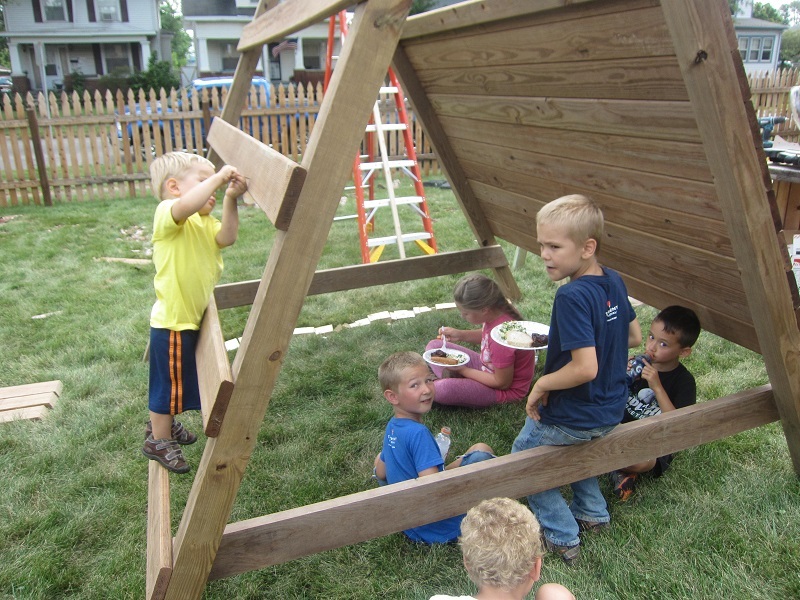 had a blast throughout the day playing with the unfinished play equipment and piles of random building supplies. 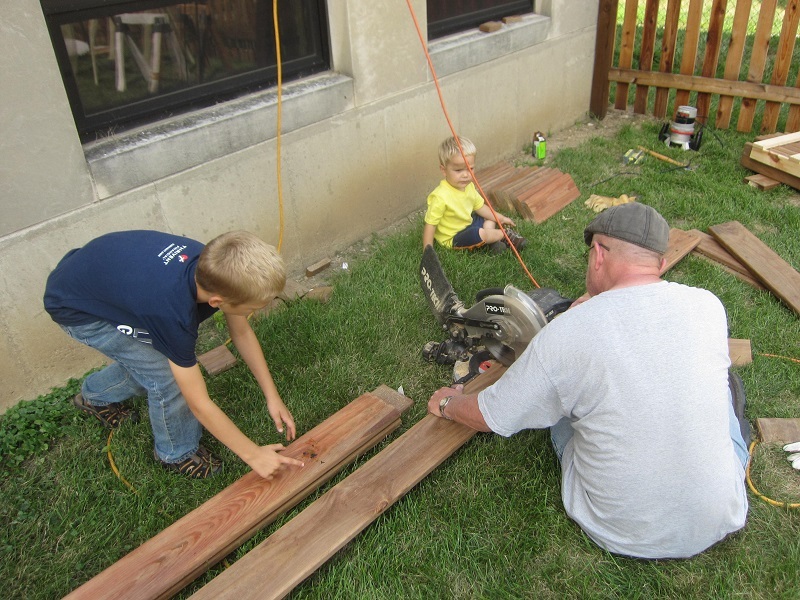 These little fellows even “helped” Ron Sheron cut boards for a set of moveable parts that will allow kids to build their own forts and play structures.